Generally (or is it only me), we have less interest to explore our own place. My case, I rarely go out and do new things when I'm back in my hometown (Kota Kinabalu, Sabah). I am more comfortable staying at home and spending the whole day with my dearest family. Well, that's the main purpose of going back actually, to have a quality time them. My job as a travel writer requires me to move here and there. So, when I have the chance to go back home, I prefer not to go anywhere but instead be at home. Poor me, now I know. When I received an exclusive invitation from Sabah Tourism Board and Gaya Travel Magazine to join #ICYDKSandakan familiarisation programme, I immediately jumped to this opportunity and realise that there are many interesting places in #Sabah that I need to discover - one of those is SANDAKAN. 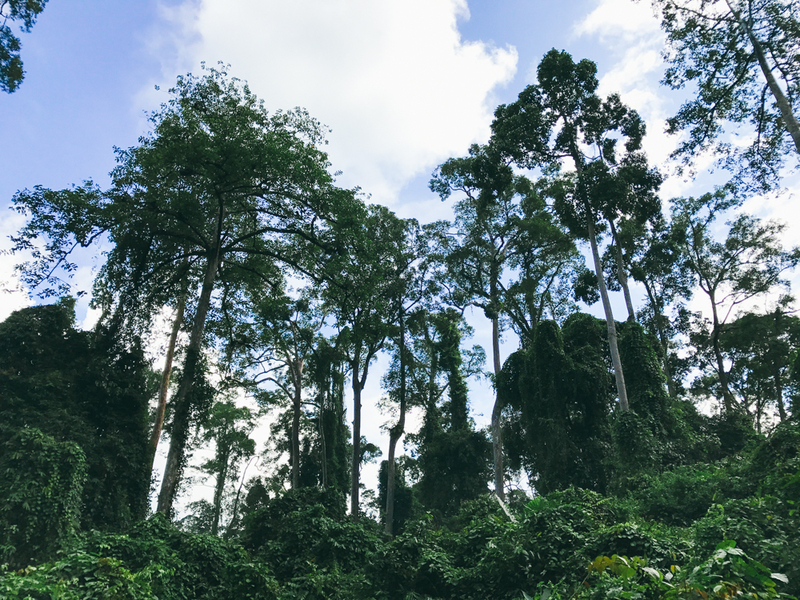 Sukau Village is one of must-visit spots in Sandakan. 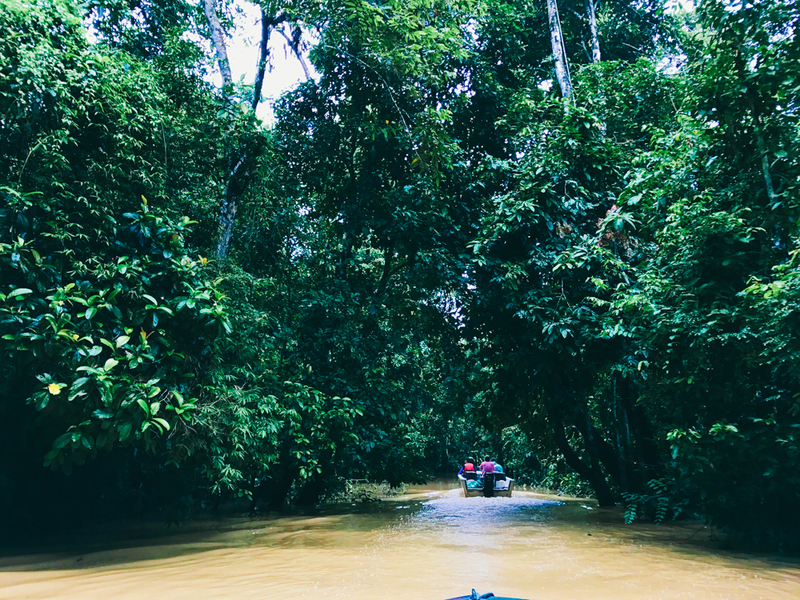 Located nearby the famous Kinabatangan river, Sukau is blessed with abundant of biodiversity that attracts travellers that are into nature to come over and experience the nature wonders. In Sukau itself, there are several lodges you can choose to stay. 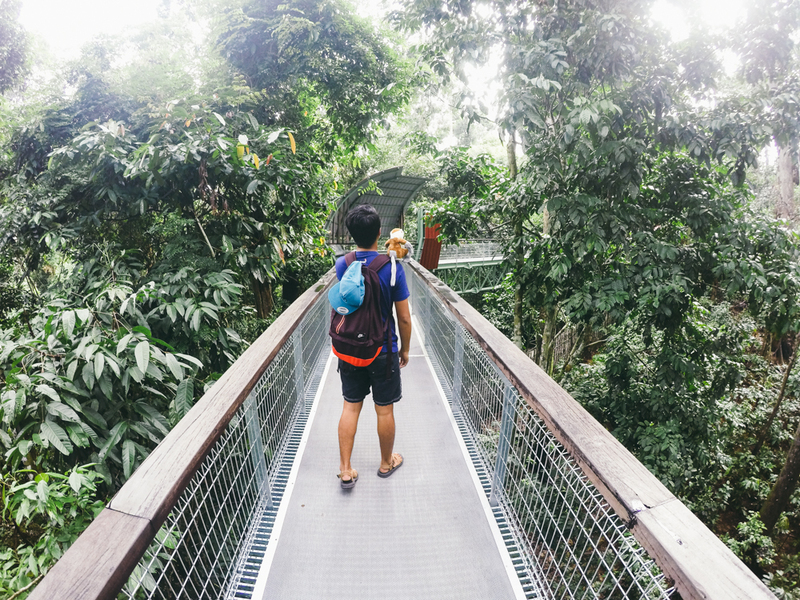 I stayed at Sukau Rainforest Lodge and definitely it is highly recommended one. Why? I will share it in a separate blog post. 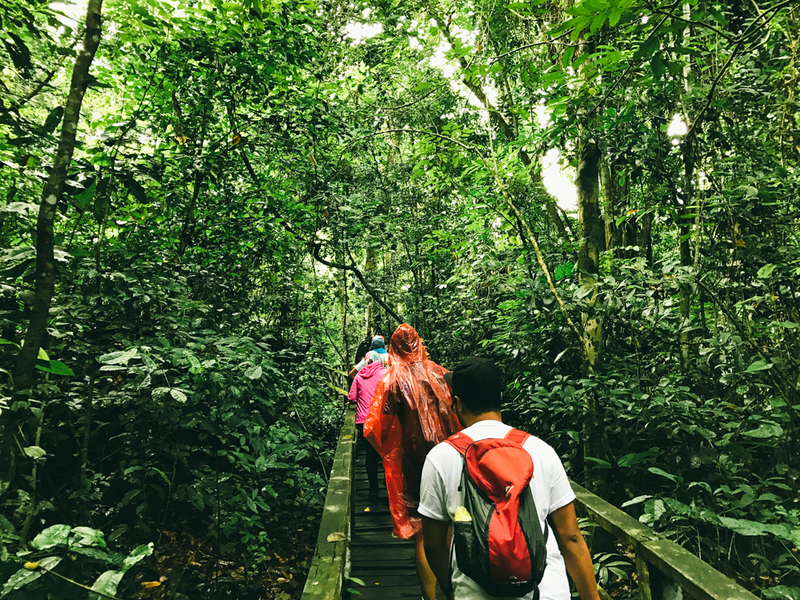 At Sukau Rainforest Lodge, you can also do several activities including night or morning cruise, morning nature walk and more. 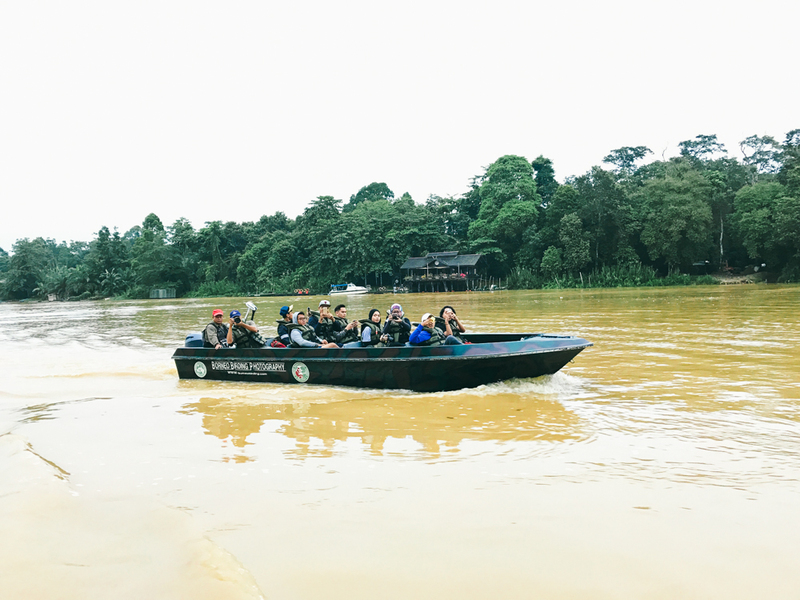 While in Sukau, I had the chance to join the morning and night cruise along Kinabatangan river, morning walk at Hornbill Boardwalk - held nearby Sukau Rainforest Lodge and each one of it gives interesting information about the wildlife that lives around here. 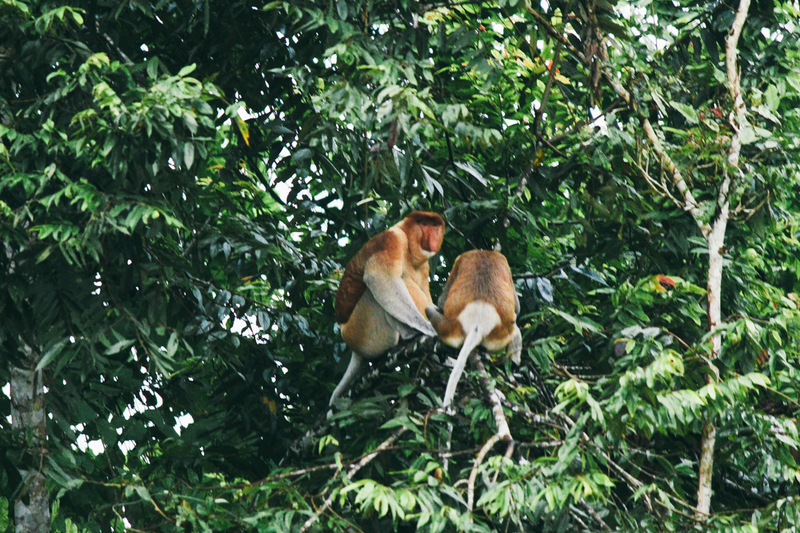 Have you seen the famous proboscis monkey (Nasalis larvatus)? It is widely known as a creature that is only available in Borneo. Besides, it was also chosen as the official mascot for Visit Malaysia 2014. This type of monkey can be found in the countries that divide the island which are Indonesia, Brunei and Malaysia (Sandakan). 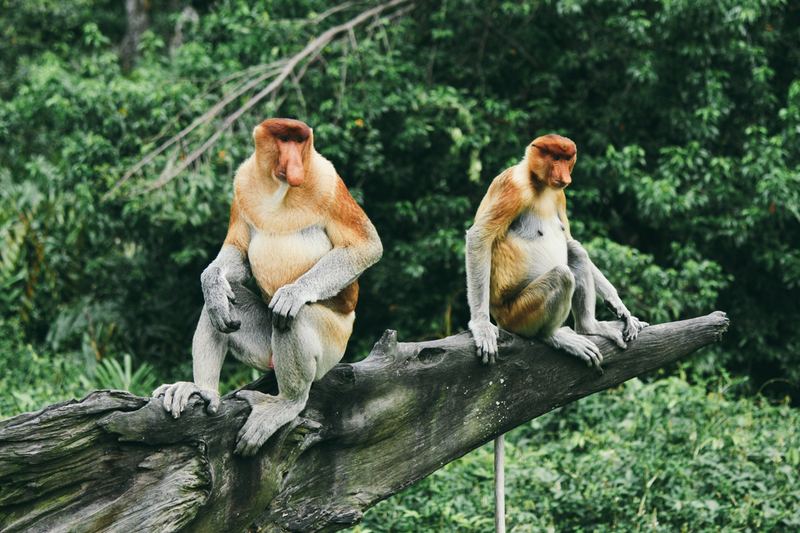 Proboscis monkey is listed as endangered species and now protected from hunting and capture in Borneo. Good to know: The scientific name of this long-nosed monkey is nasalis larvatus. It also has different names according to the country. Locally we call it 'bayau' or sometimes 'monyet belanda'. Meanwhile, Indonesian call it 'monyet belanda' or 'bekatan'. 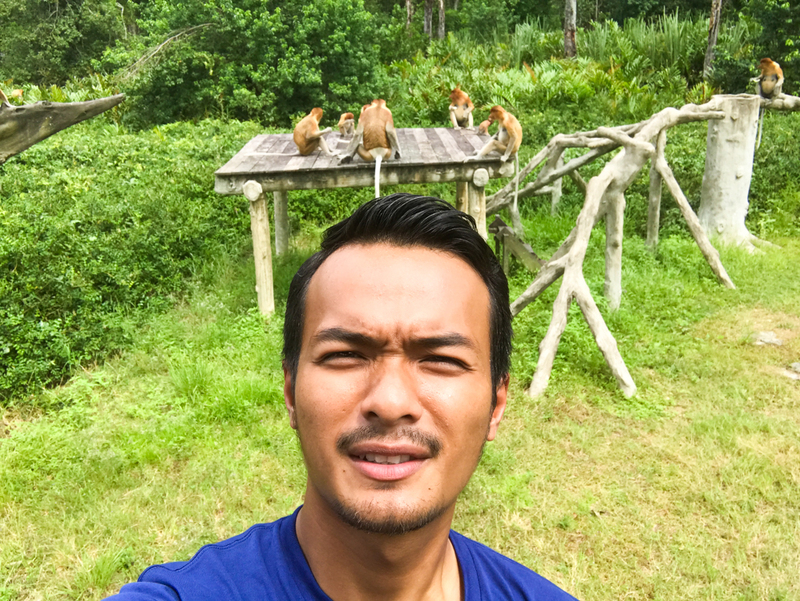 Located 53-minute drive (approx 42.7 kilometres) from Sandakan downtown, Labuk Bay Proboscis Monkey Sanctuary provides every visitor with an opportunity to see Borneo's indigenous proboscis monkeys up close. 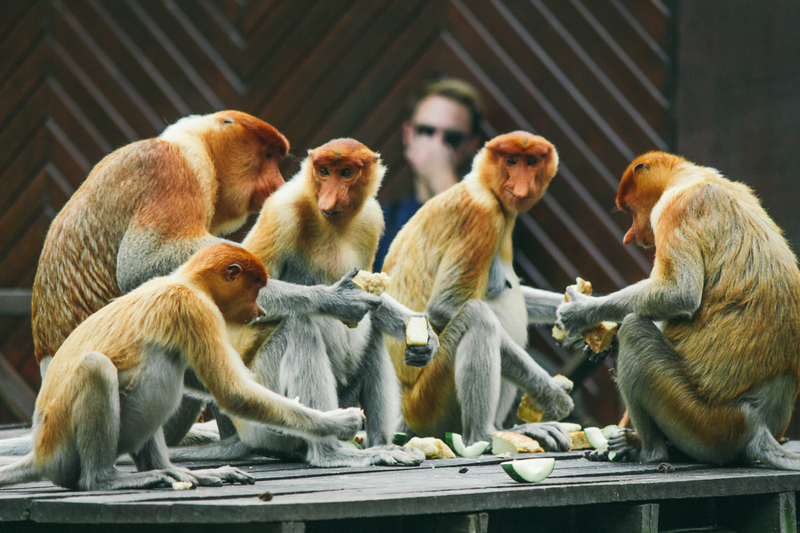 There are special observation platforms for visitors to stay and take a picture of the monkey at a very close distance. Before visiting the sanctuary, all are advised to check the feeding time. 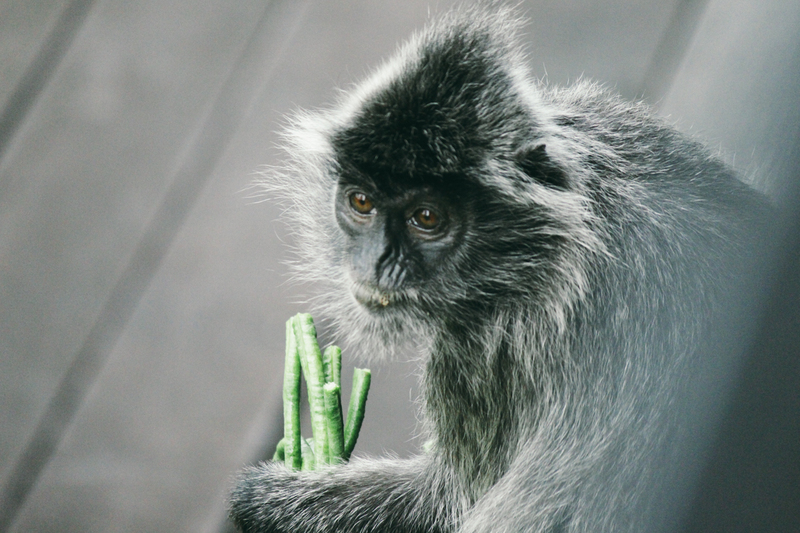 You could also get a chance to see and play with the adorable silver leaf monkey around the property. Platform A: 9.30 a.m. and 2.30 p.m. Platform B: 11.30 a.m. and 4.30 p.m.
Time: 10.15 a.m. and 3.15 p.m.
Other than proboscis monkey, visitors travelling in Sandakan can also see orangutan, a famous creature that is native to Indonesia and Malaysia which can only be found in the rainforests of Borneo and Sumatra. 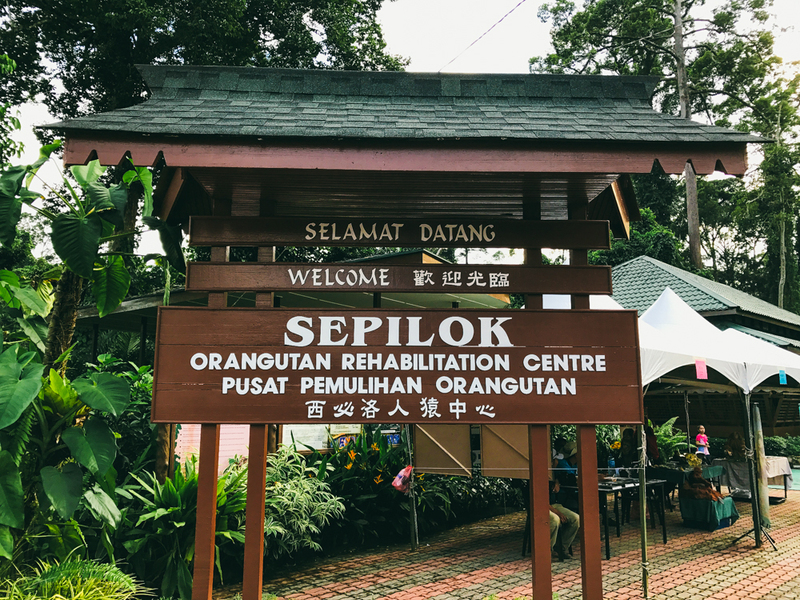 Close to Sandakan city and nearby the small town of Sepilok, there is Sandakan's most famous attraction which is Sepilok Orangutan Rehabilitation Center (SORC). This 43 square kilometre site allows visitors to see the protected creature up close. 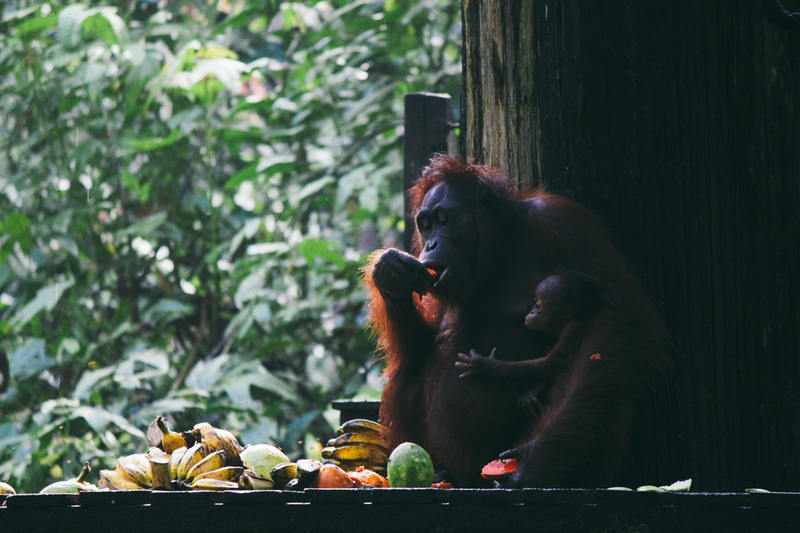 Besides that, SORC serves as a rehabilitation center to take a good care of the orphaned, injured or displaced orangutans before returning them into the wild. Visitors may join in one of the rehabilitation programmes or simply relax and watch the orangutans eating/playing around at the nursery. You'll definitely fall in love with them. Too cute to handle. 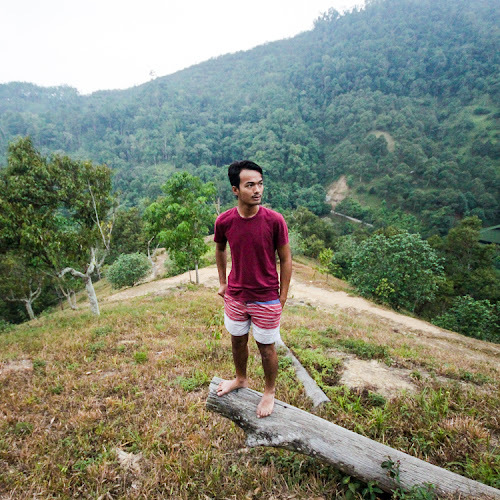 What I love about SORC is that it also acts as a useful education tool to raise awareness among both the local and visitors alike about the current situation of this endangered species and learn how we as a human can help them to save their habitat, provide them home and other essentials. 10.00 a.m. and 3.00 p.m. Ticket Counter: Daily from 9.00 a.m. to 11.00 a.m. and 2.00 p.m. to 3.30 p.m.
Exhibition Hall: Daily (except Friday) from 9.00 a.m. to 4.30 p.m.
Have you ever dreamt of seeing the smallest bear in the world? 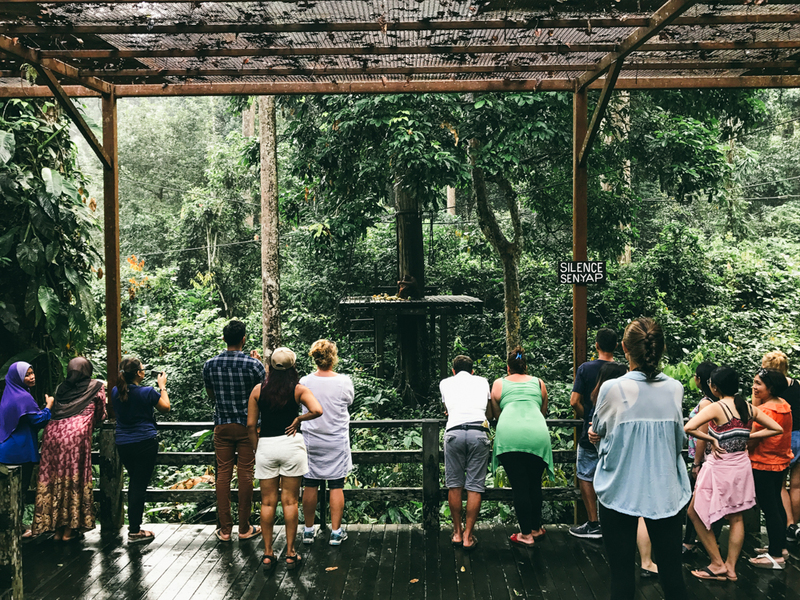 If you do, head to Sun Bear Conservation Centre that is situated next to the Sepilok Orang Utan Rehabilitation Centre to see Bornean sun bears. 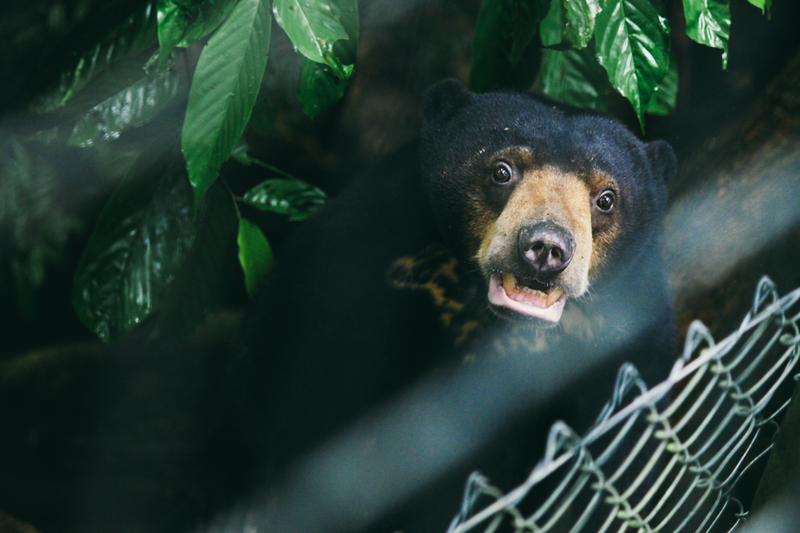 Another tour that will educate visitors and raise awareness among them that this creature is in danger - threatened by forest degradation and illegal hunting. The location is pretty convenient. It's like visiting two different attractions at one place (watching sun bear and orangutan). 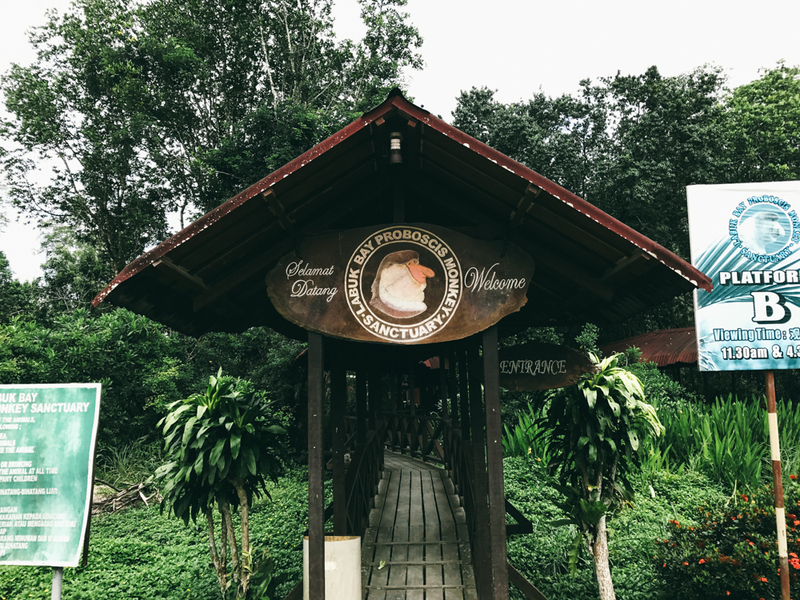 Few steps from Sepilok Orangutan Rehabilitation Center is the place where visitors will get their chance to see the adorable bears from the observation platform. There is a telescope provided for visitors to enjoy looking at the bears at a closer view. 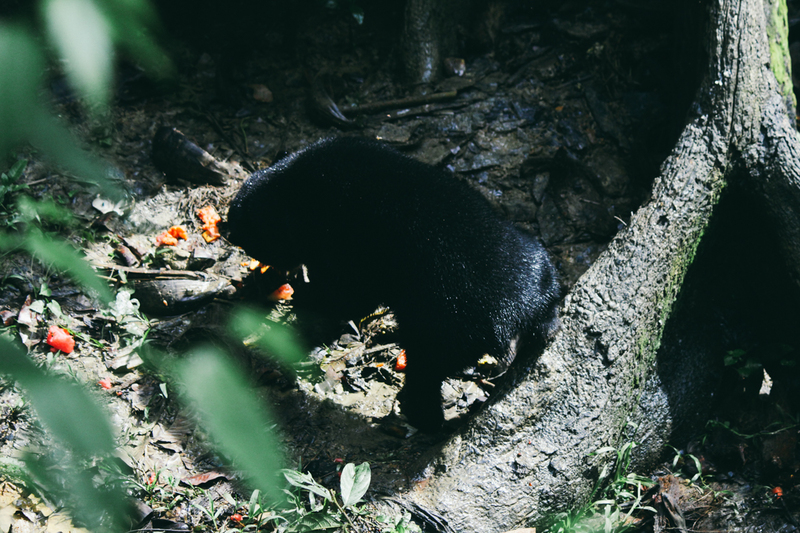 There were few bears resting on a tree branch, wandering around the reserve and one that needs attention from others by injuring himself. Cute but oh dear, you are sacrificing yourself too much. But, I highly recommend animal lovers to come here. You'll be smiling when you saw those bears! Open daily from 9.00 a.m. to 3.30 p.m.
Do take note that there is no feeding time. Visitors are welcome to visit anytime within the opening hours. 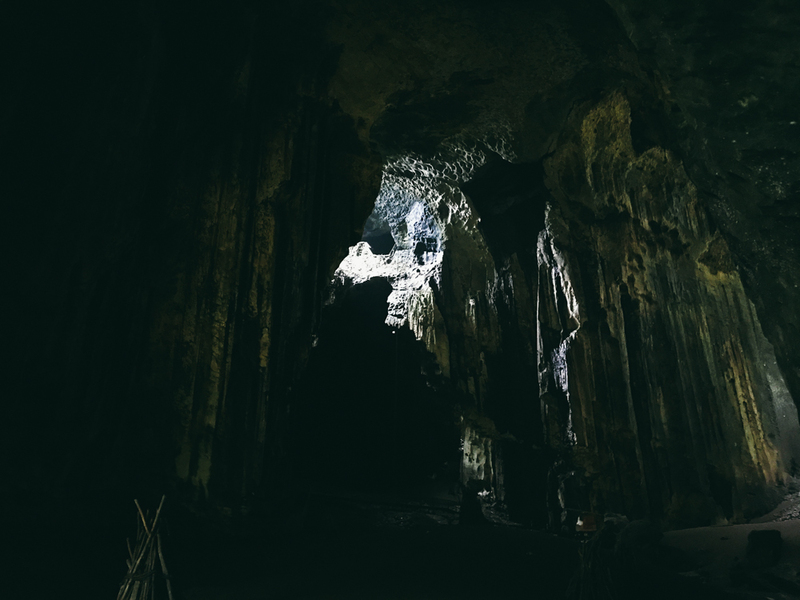 You will be proud to yourself after entering Gomatong Cave because of two main reasons. 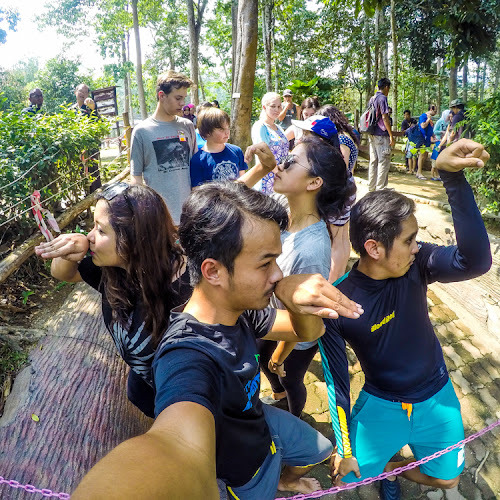 First, because it is one of the biggest cave systems in Sabah. Second, you survived the challenging walk in the cave. Wonder why it is said (by most of us) to be challenging? Read on. 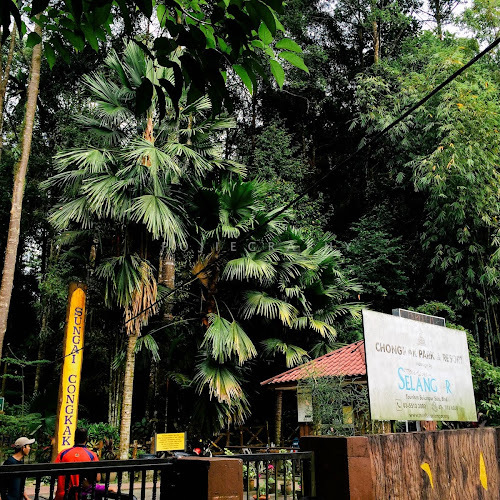 Gomantong Cave is one of the famous tourism offerings in Sandakan. There are two cave complexes which are Simud Hitam or Black Cave (stands 90 metres high and more accessible) and another one is Simud Putih or White Cave, which is closed during my visit and only open to those who have permit. 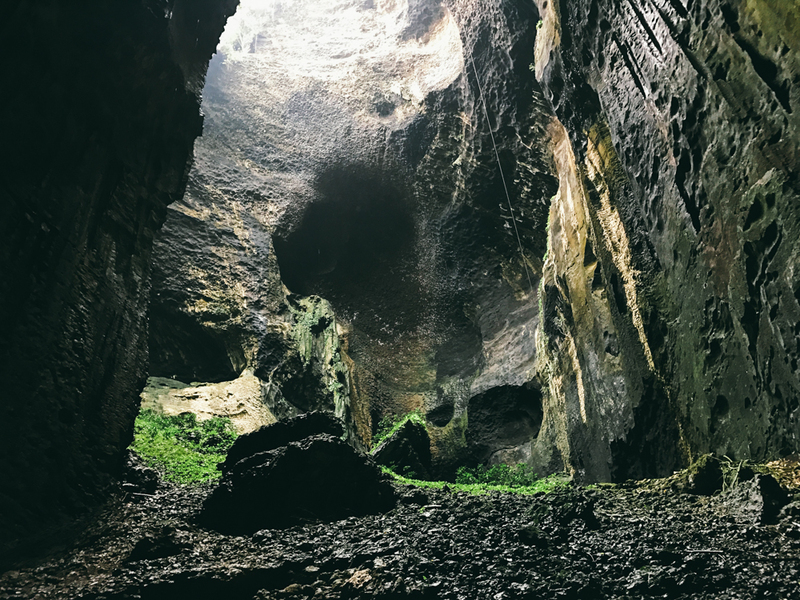 This cave is considered to be important for the local as it is the most significant source of edible birds' nest in the state. 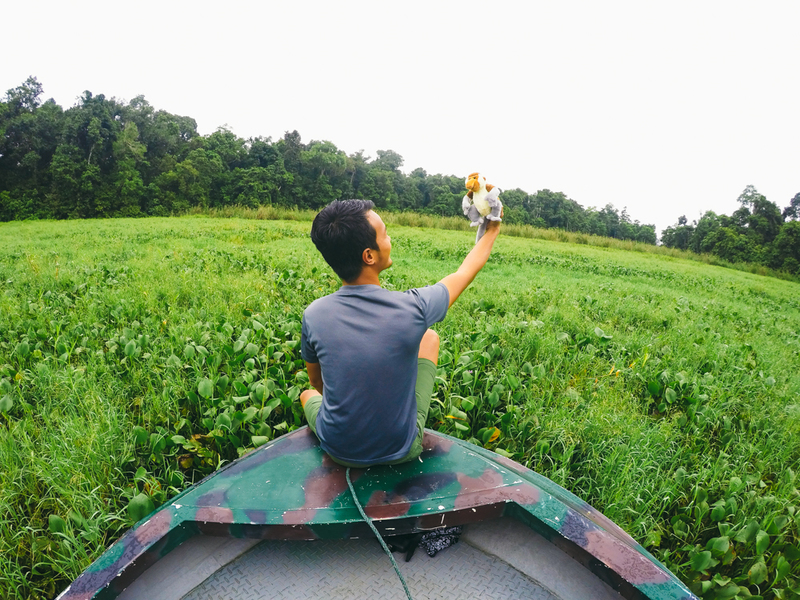 The nests are harvested for bird's nest soup and sold for quite high prices. 1. Visit the cave between February and August to witness or experience the birds' nest collection. 2. The walk in the cave will not leave your shoes with no mess. The cave is full of cockroach and bat feces. Visitors are highly recommended to wear simple footwear or bring plastic bags to cover your shoes. 3. Inside the cave, there is a strong odour of ammonia from bird and bat dropping. Please wear face mask. Opens daily from 8.00 a.m. to 6.00 p.m. If you wish to bring a camera, there will be charges given. A mobile phone is fine. Oh yea, and more are coming! 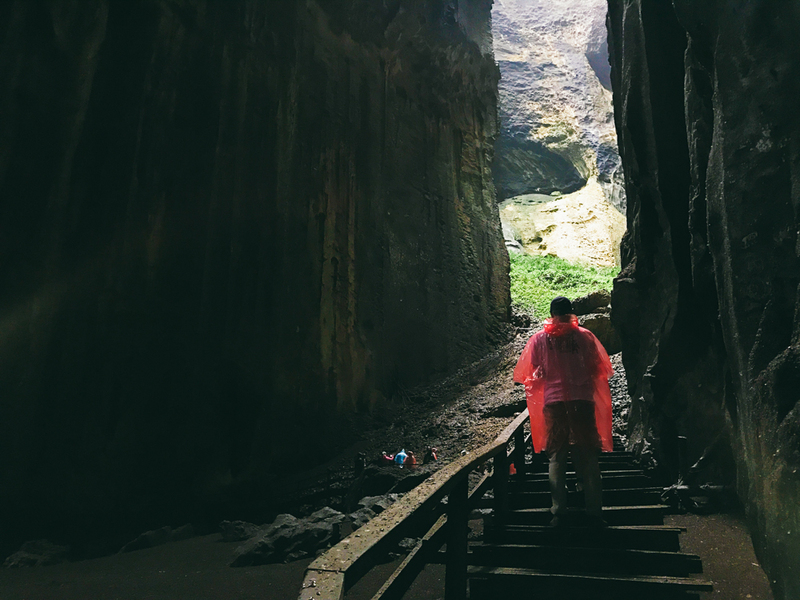 It is really a dream to visit Gomantong Cave, despite the cockroaches, i think it is a beautiful nature wonder still. And yeah, to see proboscis monkey up close too! It reminds me of my friend. LOL. Bila cakap pasal Sabah, selalu kita fikir Kota Kinabalu je. Tapi tak sangka pula Sandakan ni cantik. Tambah pula gambar-gambar hasil sentuhan Pojie ni. Lagi la menarik orang datang ke sini! I enjoy reading this article. Good guideline for those travelling to Sandakan. Good job Pojie. I will make my journey to this nature city possible. Finger crossed! Pojie, kalau nak ke sini cukup tak untuk 1 day trip? dan tahu tak bajet yang perlu dibawa?